I love nut butters but they can also get expensive. Lately, I’ve been purchasing nuts and seeds in the bulk section and turning them into a butter myself. The process of making your own nut butter is extremely simple and it costs less than buying pre-made nut butter. Plus the flavor cannot be beat! The first step for making your own nut butter is roasting the nuts (skip this step if you already purchased roasted nuts). Spread the nuts on a baking sheet and roast at 350º F for about 10-15 minutes. This process helps to release oils from the nuts, making it easier to form the nut butter. Once the nuts have cooled, process in the food processor….and process…and process. It should take around 10 minutes, depending on the strength of your food processor. First, the nuts will grind into a fine texture. After a few minutes, oils are released and a paste-like texture will form. Keep processing, pausing every few minutes to scrape down the sides if necessary. Finally, about 10-15 minutes in, as all of the oils from the almonds are released, a creamy butter will begin to form. If your butter is a little soft, you can let it set in the fridge for about an hour. Homemade nut butter can be stored in the fridge for up to 3-4 weeks. Coconut oil: to increase creaminess and help prevent the oils from separating. Sea salt: to bring out the flavor of the roasted almonds. Flavor add-ins: vanilla, pure maple syrup, cinnamon, unsweetened coconut flakes, etc. 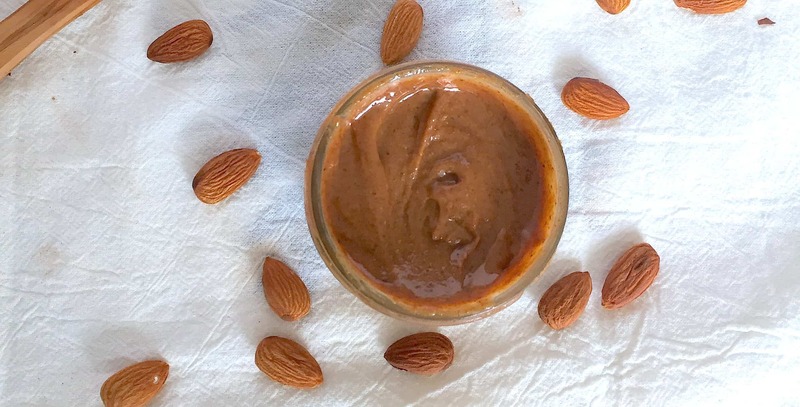 Nut butters are incredibly versatile. Spread it on toast or use it in granola, smoothie, and Thai peanut-like sauce recipes. The process of making your own nut butter is extremely simple and it costs less than buying pre-made nut butter. Plus the flavor cannot be beat! Preheat oven to 350 F. Spread almonds on a parchment-lined baking sheet and roast for 10-15 minutes. Allow to cool for 5-10 minutes. Once the almonds have formed a butter, add in coconut oil and salt to taste and process until well-combined. Store in fridge for up to 3-4 weeks. What are your favorite ways to use nut butters? I love nut butters (peanut is my fave! ), but have never made it myself. Don’t know why, given how easy it really is. Thanks for walking us through the process here. 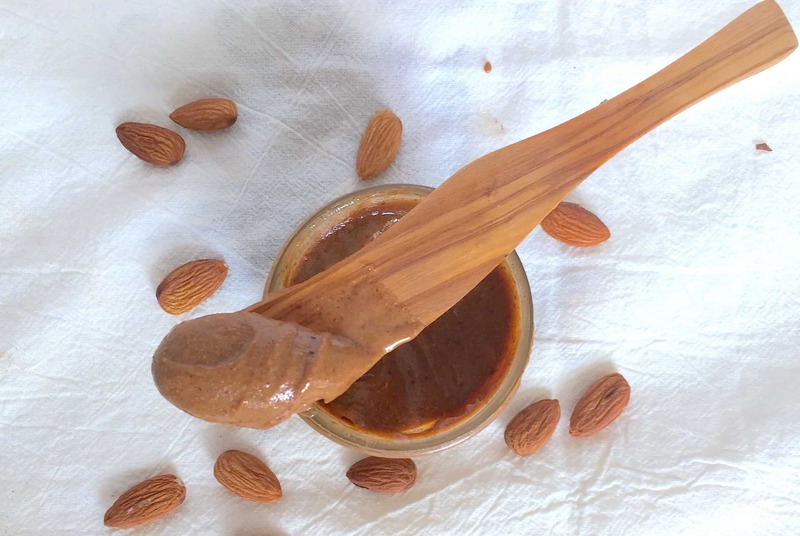 Your almond butter looks so creamy and delicious! 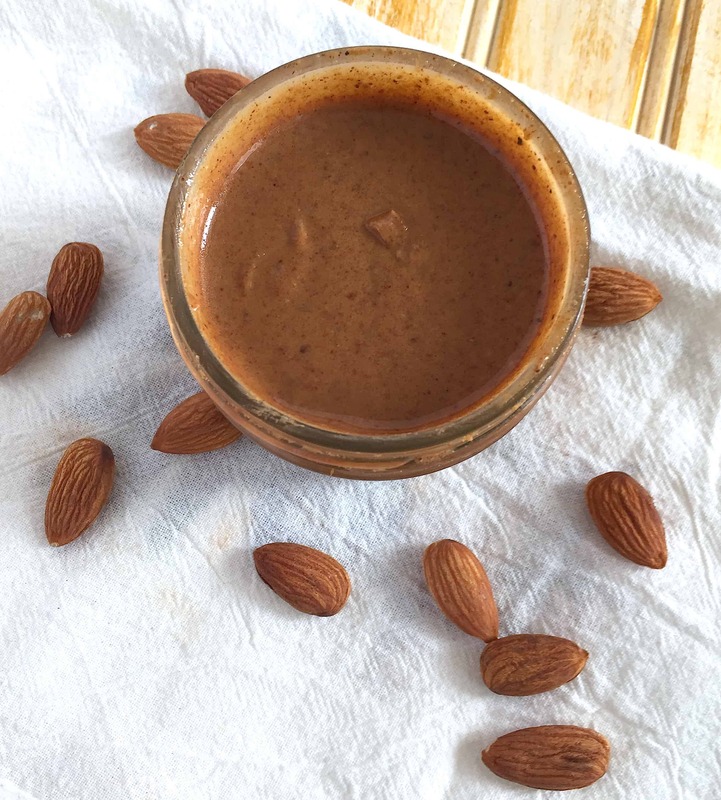 Can’t beat the fresh taste of homemade almond butter! This looks delicious! I was debating between making homemade nut butter or granola for this post, but looks like granola won. I’m glad someone did this though 🙂 It is SO easy to make your own and I love switching up the flavors. I seem to go through phases where I like a particular type of nut butter on my english muffin in the morning- lately it’s been almond! I’m going to have to try making it myself. Pinning to make. The almond butter looks delicious. Would like to make it, but where do you get coconut oil? Thanks, Sandra! Coconut oil is available at most grocery stores (you can definitely find it at a place like Whole Foods). Amazon is another great option, as you can have items shipped right to your door! Didn’t realize that roasting the nuts first would make better nut butter – thanks for that helpful hint and using coconut oil I’d like to try that too. Thanks!! 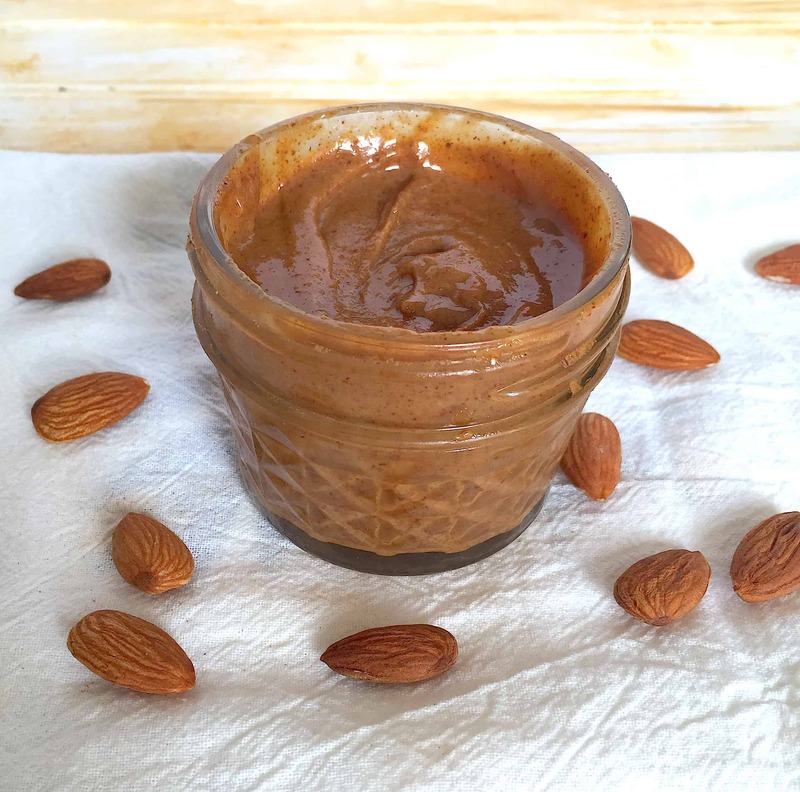 I love almond butter, I’ve only made it once but will have to make it again seeing how creamy and perfect yours looks. Thanks so much, Gwen! 🙂 I hope you’re able to enjoy your own soon!